The appearance and feeling of this wig is most close to human hair. Hair Fiber Type: can be straightened or ironed（120℃-）. Material: High Temperature Fiber（under 180℃）. Hair is sewn on an adjustable light-netting cap, which should fit an average size head. Three:about the hair quality. when we screen pic,because of effect of light,maybe bring Color difference;. We hope that we will cooperate with you in the future. different display device,also maybe show different color,this also can bring Color difference;. High temperature wire wig can withstand the following high temperature 180 ° c, can not be hot dyeing, easy care, can be secondary modeling. 1 x Premium Hair Hair Wig. 【 process 】 : simulation scalp rose net. We reserve the right to make the final decisions in the event of any dispute. We wish you a happy life. Greetings from China. Like goods in the picture, it is so surprising beauty! If you like it, don't miss it! I can give you the lowest price ! It will bless you health luck!Duis autem vel eum iriure dolor in hendrerit in vulputate velit esse molestie consequat, vel illum dolore eu feugiat nulla facilisis at vero eros et accumsan et iusto odio dignissim qui blandit praesent luptatum zzril delenit augue duis dolore te feugait nulla facilisi. Material: 100% Heat Resistant Fibre.You can curl and straighten. Temperature :120-200°C. website caused by many factors such as brightness of your monitor and light brightness;. Lace Front Wigs. 100% Human Hair. 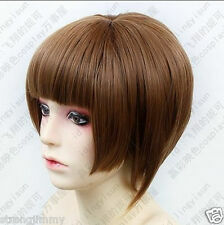 Type:Short Wig. Material:Synthetic hair. Length: Approx. Hair style:Pixie Cut Wigs. Color:Black with Red Bangs. Of course, they are made of 100% heat resistant fiber, the hair can be curled or straighten, but the temperature should not exceed 160 degree. Make sure to wash and condition your hair at least once a week, and if possible, twice a week would be better. Note: the color may be a little different due to the effect of light and moniter setting. Size:about 30cm. I will try my best to help you. We would like to work together with you to resolve any dispute. 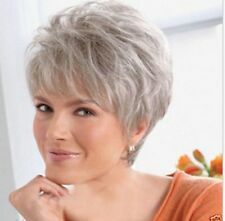 Item Style:Lace Front Wig. Material:High quality HEAT RESISTANT(150C) Japanese synthetic fibre. Because these lace front wigs are hand-made, the color mixing could be done a little differently for each wig. New Zootopia Judy Hopps personification Cosplay Wig 2 Ver. Do not miss it ! We hope that we will cooperate with you in the future. Texture: wavy. Color: blonde. Style: Full Wig. Easy to wash and care just using a little mild shampoo in cold water. Easy to wear, adjust the hook inside the cap to correct size to fit your head. You may also like. When photographing, hope you understand.